For kids, nothing is more exciting and anticipated than summer vacation. For adults, it can be a challenge to keep the kids occupied during their months away from school. If you are looking for ideas to entertain the kids during summer break, here are a few to get you started. Even though school is out for the summer, that doesn’t mean the books should get put away! Planning a weekly trip to the library to check out books can give some valuable structure to an otherwise unpredictable schedule. Reading can help stimulate the imagination, which will keep kids sharp and more prepared to jump back into school in the fall. Check out your local library as they will likely have story times and activities for all ages. The scope of a child’s creativity is limitless, so imagine what they can produce when they don’t have to be limited to a piece of paper or poster board. With pavement as a canvas and chalk as the medium, kids can color to their heart’s content. Another fun way to give them a similar outlet is to lay an old bedsheet on the grass, weigh down the corners to keep it flat, and let them paint away! A great way to keep kids busy is to get involved in community activities. Michigan is filled with towns that value their communities and offer summertime activities for children and adults of all ages, many of which are free. 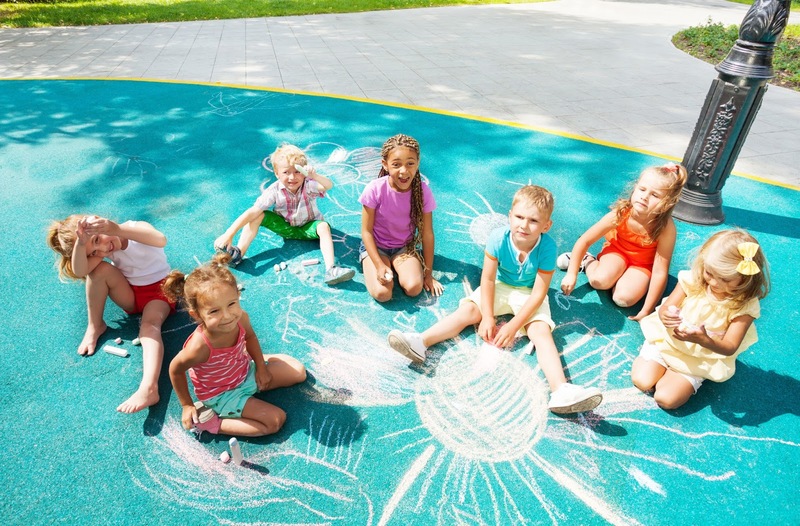 You can find activities that would pique the interest of any child by looking on your city’s website. For example, Community Financial is sponsoring Tunes on Tuesday in Northville and Wonderful Wednesdays in Novi this summer. Both concert series are sure to keep your little ones entertained! A simple solution to keeping a restless child entertained is to turn simple chores and tasks into a game. Turning chores into a competition can make them more exciting and rewarding! Seeing who can pick up the most sticks might not seem fun, but you’ll be surprised at how exciting a child finds the challenge of gathering the most sticks and measuring his or her piles. Still need ideas for summertime fun? Check out Care.com’s list of “101 Fun Things to Do With Kids this Summer.” Share your own kid-friendly summer activities in the comments section below.